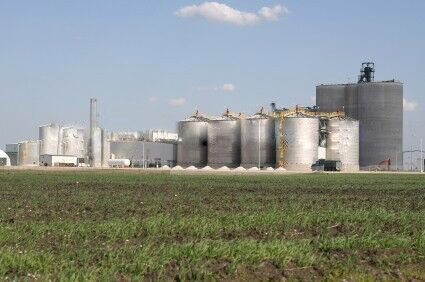 Biodiesel is a renewable, clean-burning diesel replacement that is reducing our dependence on foreign petroleum, creating jobs and improving the environment. 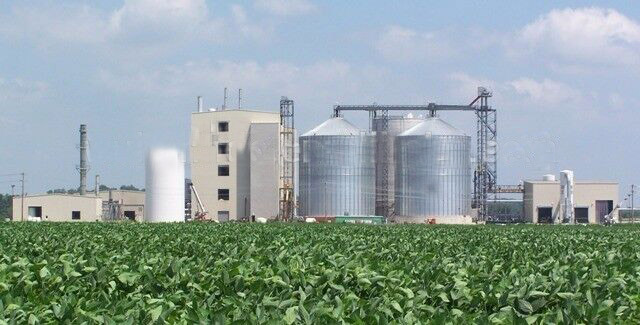 The EPA has recognized biodiesel’s environmental benefits by classifying it as an Advanced Biofuel, making biodiesel the only commercial-scale fuel produced nationwide to meet the agency’s advanced criteria. There are many moisture, impurity in the raw material, so before esterification must first to make roughly filter, fine filter and falling film drying treatment, in order to get the standard oil. 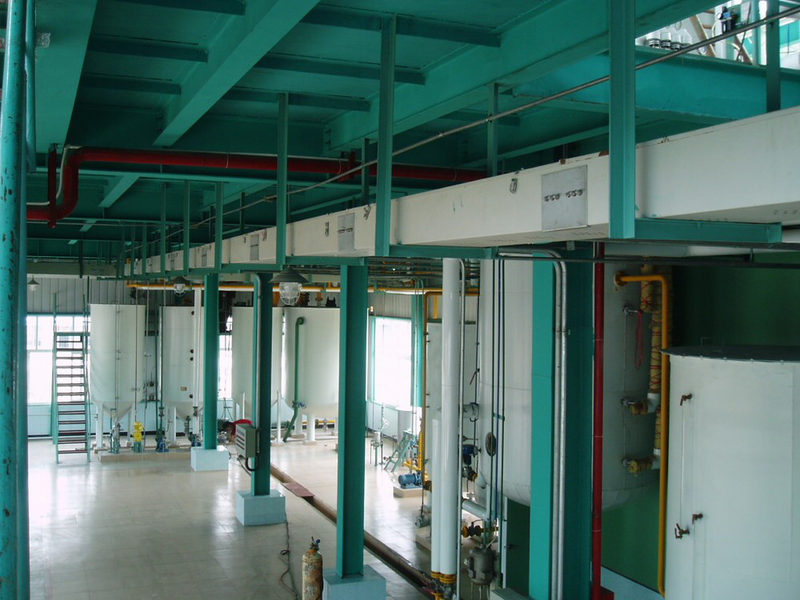 According to a certain proportion and velocity put standard raw oil, glycerol and catalyst into esterification reaction tower, open heating device by adjusting to the requirements of the technical parameters, during the reaction process, water removed promptly from the system. After sampling and testing, can be continuous discharge. 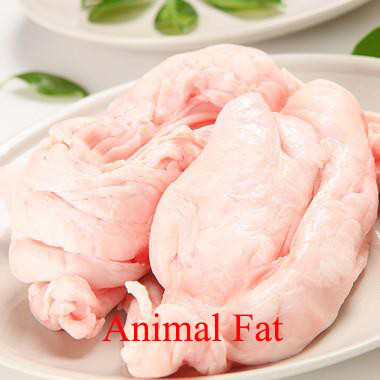 The main free fatty acid and glycerol are the main free fatty acids and glycerol to produce triglyceride and water, while a small amount of single and two. 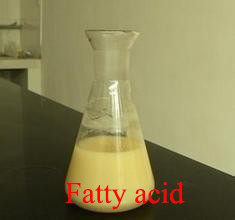 The responses of ester exchange reaction occurs mainly by the reaction of triglyceride and methanol, in the reaction process mainly generated methyl ester and glycerol, and part of the monoglycerides, diglycerides are generated. 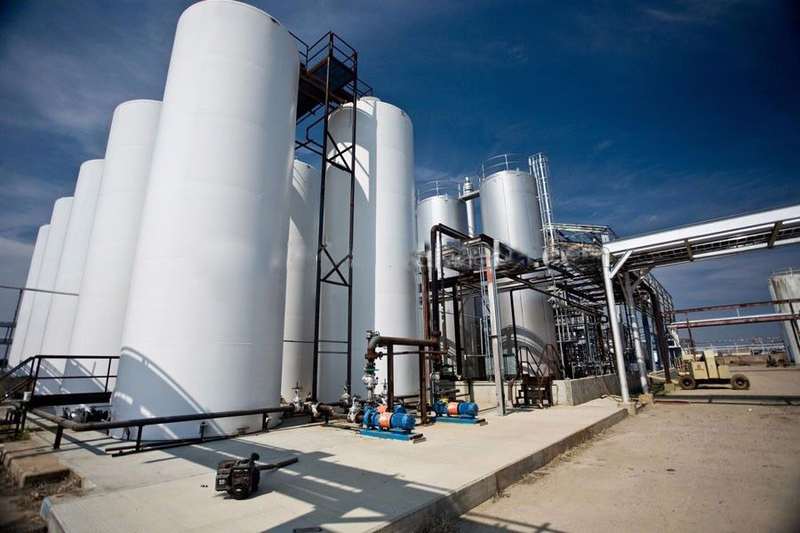 the biodiesel distillation unit is a multi - type self - diversion and vacuum distillation unit, and the distillation system is heated by heat conduction oil.The utility model has the advantages in distillation, distillation, separation system as a whole, reducing the biodiesel residence time in the equipment, to ensure that the color of the biodiesel, cold material first and finished heat and heating into a distillation tower, give full consideration to the secondary utilization of heat energy, saving the production cost. Due to the ester exchange containing methanol and little soap, recycling must be done before the alcohol treatment to avoid loss of methanol. 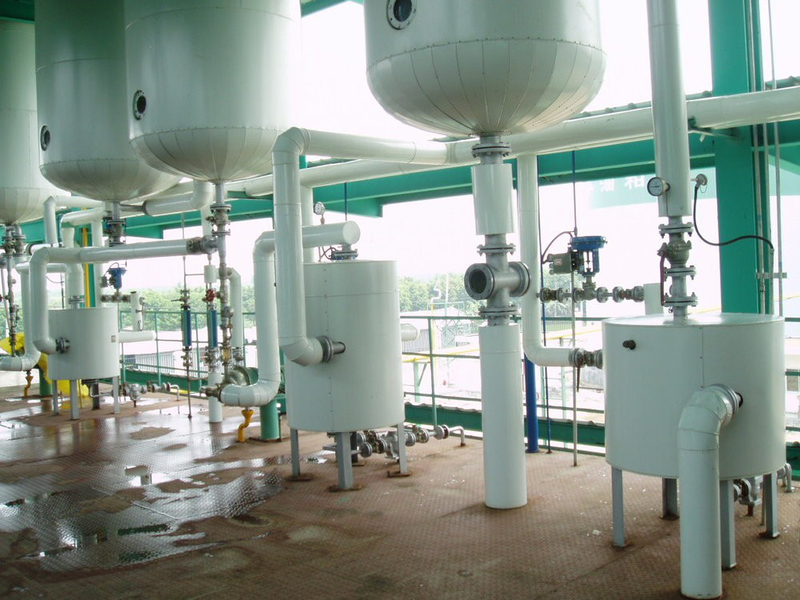 The first glycerol ester exchange settlement after the discharge of introducing glass lined reactor regulation in a neutral or weak acidic, backward in glycerin settlement the desalting tank, then into the distillation tower of dewatering of purified alcohols. 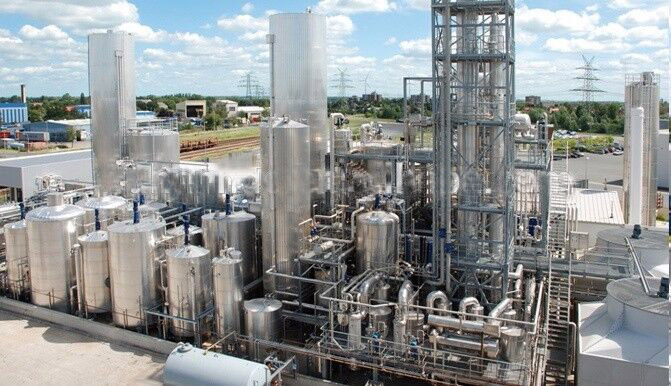 Excess methanol in the system will go to distillated in the methanol distillation tower and then be recycling used. 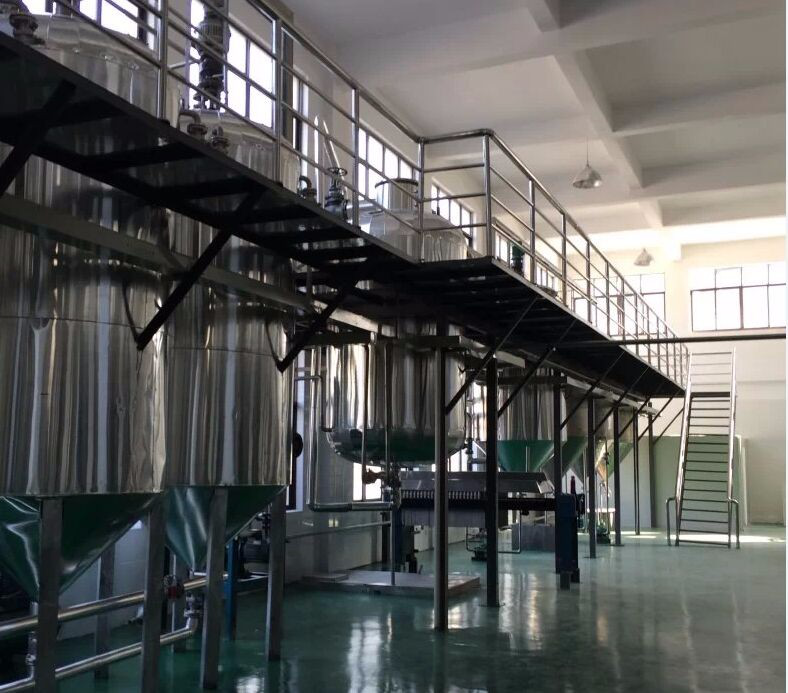 The biodiesel technology of biodiesel production plant for sale we adopt and design for you is glycerin esterification technology. 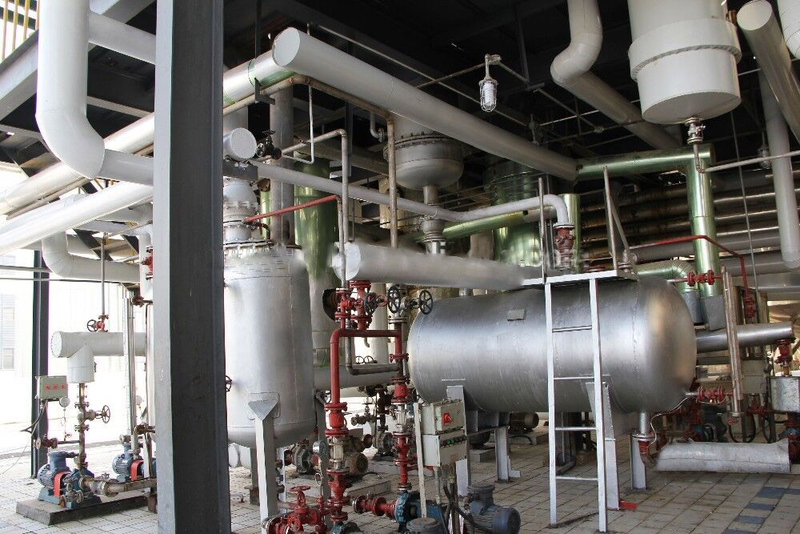 This treatment technology of biodiesel production plant for sale is newly developed by our company, which can meet high quality standards of biodiesel and have many advantages such as fast reaction speed, high conversion rate, vitriol not required to be catalyst, sulphur controlled below 10ppm, small corrosivity to equipment, zero waste water discharge and others. 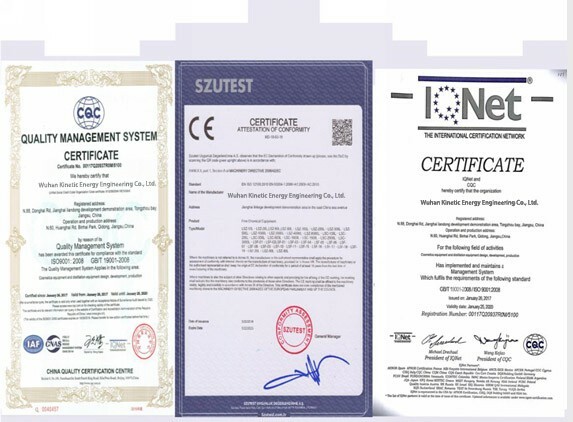 The research of this technology changed the record of using heterogeneous catalyst in old technologies, breaking the history of only having national standard biodiesel but no European standard biodiesel. The normal package is wooden box. 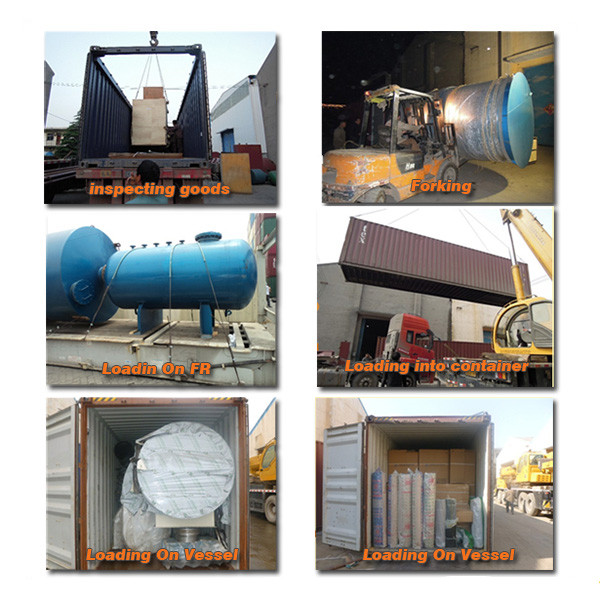 If export to European countries, the wooden box will be fumigated.If container is too weight, we will use per film for packing or pack it according to customers special request. The normal shipping method is by sea. We also accept Air Transporting if you are in urgent need. 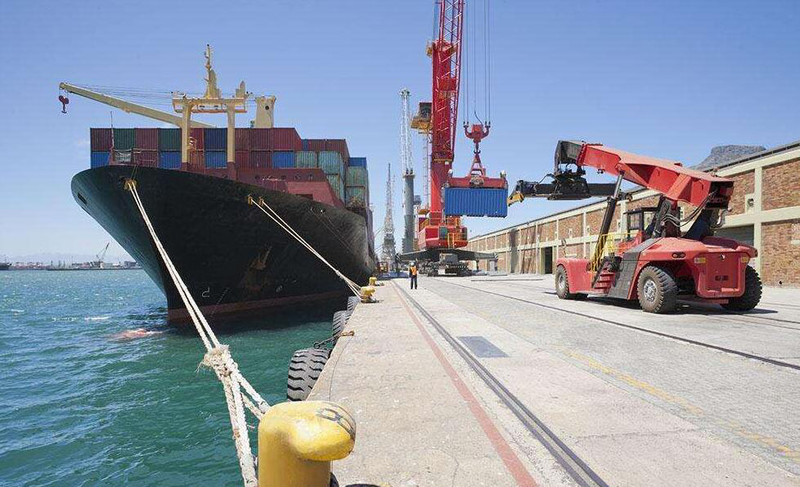 You can contact your own shipping agent or ask us to arrange shipping for you. * Training how to install and function the machine. * 12 months warranty and life spand service available. * Flowchart and factory design. Made in China Wuhan Automatic Natural Circulation Green Biofuel Briqutte Machine Biodiesel Production Line for sale. 1.What is the warranty of the machines? 12 months free guanantee and life long standard paid service. 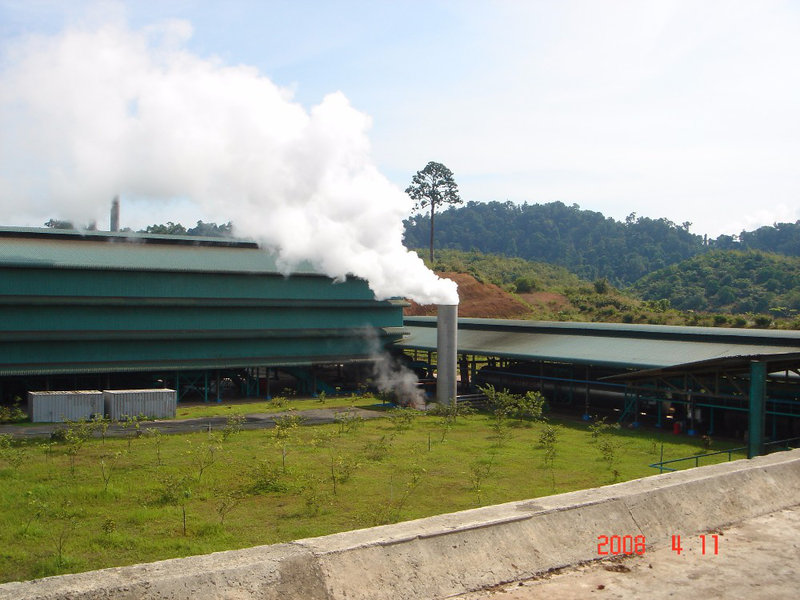 2.What is the raw material of your machinery? 3.When can I get the price? Within 24 hours, if urgent, please directly contact us. 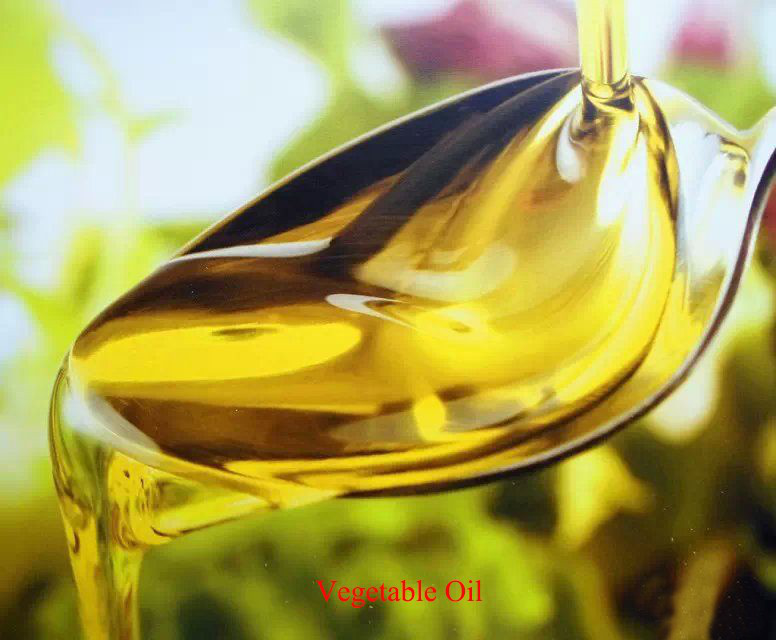 4.Which kind s of material is suitable for Professional biodiesel production plant for sale with high quality? 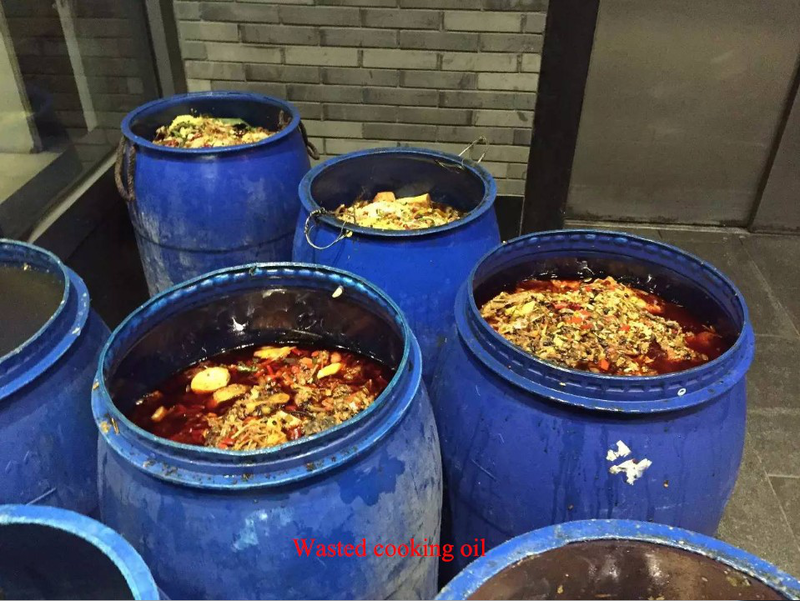 Used/illegal cooking oil, Palm Acid oil, Plant Acid oil and so on, if you are interested in our Professional biodiesel production plant for sale with high quality, please contact me for more details. 5.Will Biodiesel harm my engine in any way? No, biodiesel is actually better for your engine. It is a solvent and a lubricant, as well as a fuel, so it will clean out a system that has been running petroleum diesel, and it will provide lubrication for your injection pump and other parts. The ultra low sulfur diesel that is available now has less lubrication (that's what the sulfur was for) so it is hard on engines that weren't designed for it. Even running just a small percentage of biodiesel mixed with regular diesel will allow your engine to run with better "lubricity". 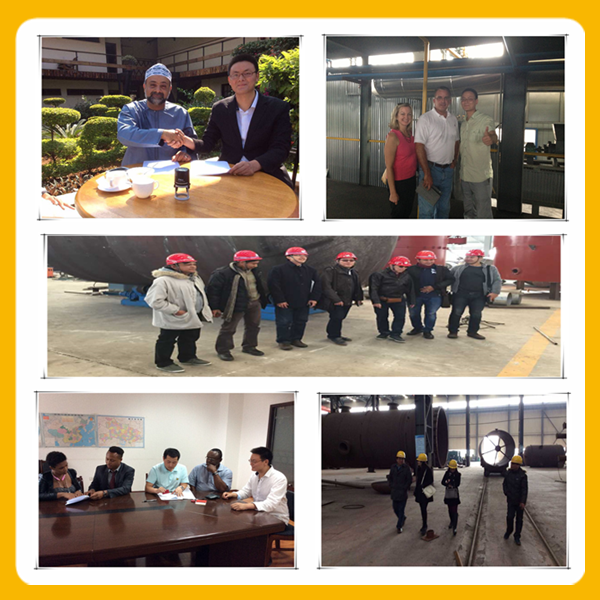 6.Have you installed Professional biodiesel production plant for sale with high quality in client factory? 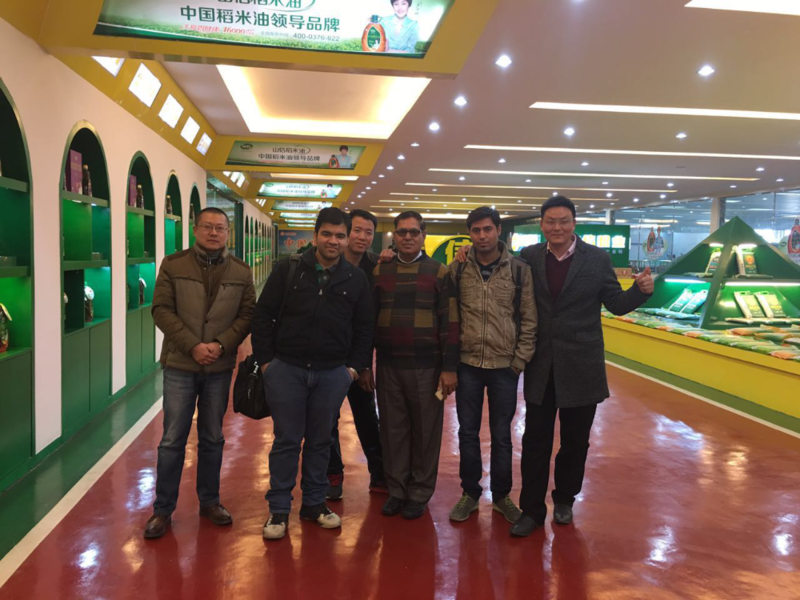 Yes, our Professional biodiesel production plant for sale with high quality are popular in many countries, we have inst a lled plants in Mexico, Peru, and so on, also in China, if you want to see our equipment, welcome to our factory, we have running plant in our factory. 7.How many areas are required to build my plant? The land area required usually depends on the capacity of your plant. We can calculate the area needed and give you the plant designs. 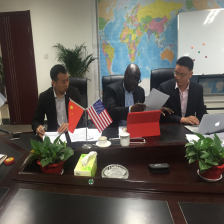 9.Can you install the production line and train our stuffs for free? Yes we can. We'll send professional installation engineers to help you install the equipment and train your workers freely. 11.How long will it take to get my products? 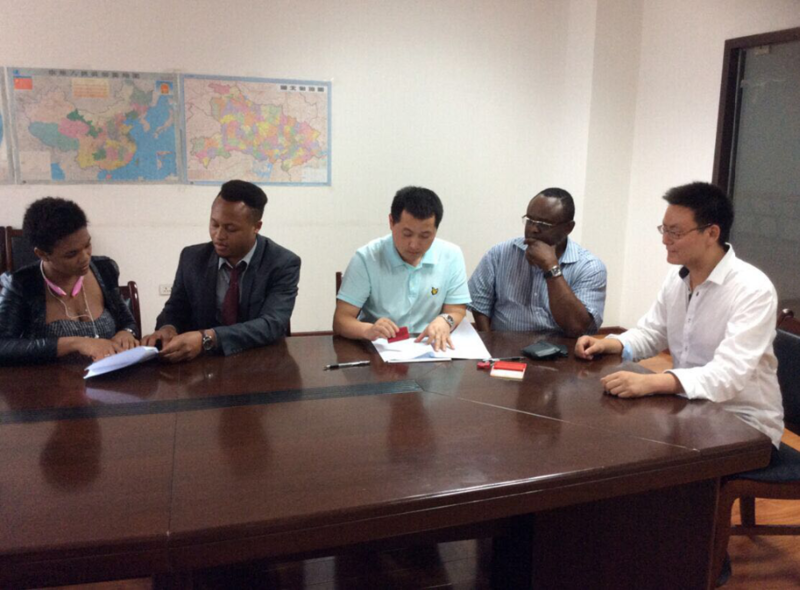 In general, it will take us 10-70 days to make the machinery, and 3-7days to shipping port. Send your inquiry details below for professional information, Click "Send" Now!